Stanton will serve as the top backup to starting quarterback Baker Mayfield in Sunday's game against the Raiders, a team official told Sam Wyche of NFL Network reports. Analysis: Stanton has been the third man on the depth chart all season, but he'll move up a spot this week with Tyrod Taylor dealing with a back injury and only having recently cleared the NFL's concussion protocol. Once Taylor is able to get more practice time under his belt, he should recapture the No. 2 gig, which will likely result in Stanton being inactive most weeks. Stanton is inactive due to coach's decision for Sunday's contest against Pittsburgh. Analysis: Stanton is the No. 3 quarterback in Cleveland, and the relative health of the team means a few healthy players need to be sidelined. Stanton isn't likely to see the field much this season, barring injury to Tyrod Taylor and Baker Mayfield. Browns head coach Hue Jackson said Stanton will get on the field during Friday's preseason game versus the Bills, Scott Petrak of the Elyria Chronicle-Telegram reports. 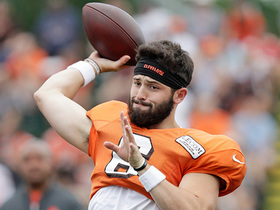 Analysis: Stanton, who didn't play in Cleveland's first preseason game, is still in the mix to be the backup quarterback, though Baker Mayfield should still be viewed as the favorite. 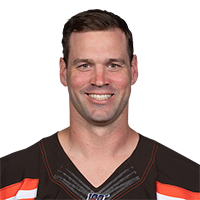 However, Jackson likes the experience Stanton brings to the position, and a strong showing from the veteran in the preseason could make the Browns' decision more difficult, according to Petrak. Stanton (knee) has agreed to a two-year deal with the Browns, Field Yates of ESPN reports. Stanton (knee) won't require offseason surgery to address a torn ACL in his knee, Ian Rapoport of NFL Network reports. 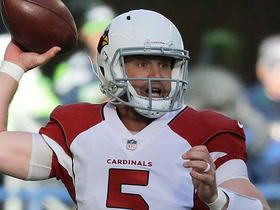 The quarterback clarified Monday that he's dealing with a bone bruise rather than an ACL injury, according to Darren Urban of the Cardinals' official site. 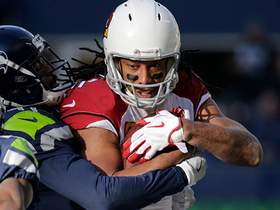 According to a tweet from teammate Larry Fitzgerald, Stanton played the final two weeks of the season with a torn ACL. Analysis: This is the first mentioning of an ACL tear for Stanton, but assuming it's true, the tear likely must have been minor in nature. That said, it's possible offseason surgery will be required to correct the issue. Stanton appeared in five games for the Cardinals this year and will be heading into free agency this offseason. Stanton competed 20 of 34 passes for 209 yards, two touchdowns and two interceptions during Sunday's 23-0 win over the Giants. Stanton will replace Blaine Gabbert as the starter for Week 16 against the Giants. Stanton will remain the Cardinals' backup quarterback Sunday against the Rams after head coach Bruce Arians named Blaine Gabbert the Week 13 starter, Mike Jurecki of Arizona Sports 98.7 FM reports. Stanton (knee) is active for Sunday's game against the Jaguars, Darren Urban of the Cardinals' official site reports. Analysis: The Cardinals know what they have in Stanton, so they're using his recovery from a sprained knee to evaluate Blaine Gabbert. Stanton will thus back up Gabbert for a second consecutive game and potentially beyond. Stanton (knee) is listed as questionable for Sunday's game against the Jaguars, Darren Urban of the Cardinals' official site reports. Analysis: Stanton had the same designation last week and was deemed healthy enough to serve as Blaine Gabbert's backup in a 31-21 loss to the Texans. The same can be expected this Sunday against a much tougher opponent. Stanton could get the starting job back, or even enter as a mid-game replacement, if Gabbert struggles against the stingy Jacksonville defense. Stanton (knee) practiced in a limited capacity Wednesday, Darren Urban of the Cardinals' official site reports. Blaine Gabbert will get the starting nod over Stanton (knee) for Week 12 against the Jaguars, Kyle Odegard of the Cardinals' official site reports. Cardinals general manager Steve Keim sounded like he wants to see Gabbert start over Stanton in Week 12 against the Jaguars, according to Darren Urban of the team's official website. Stanton (knee) is listed as active Sunday at Houston. Analysis: The Cardinals have deemed Stanton's knee healthy enough to play, if needed, but Blaine Gabbert will be under center from the outset of the contest. Stanton (knee), who is listed as questionable for Sunday's game against the Texans, will be a game-time decision to serve as Blaine Gabbert's backup in the contest, Josh Weinfuss of ESPN.com reports. Analysis: Stanton was a limited participant at every practice this week after spraining his right shoulder in his second start of the season Week 10 against the Seahawks. He'll likely be ready to go by next week if he can't play Sunday, though it's quite possible the Cardinals stick with Gabbert as their starting quarterback if he fares well against the Texans. Should Stanton end up inactive, the newly signed Matt Barkley would serve as the backup Sunday. Stanton (knee) was a limited practice participant Wednesday, Darren Urban of the Cardinals' official site reports. 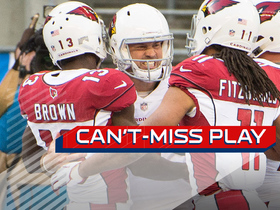 Analysis: So far, the Cardinals have delayed the announcement of their starting quarterback for Sunday's matchup with the Texans. As head coach Bruce Arians told Kyle Odegard of the team's official site Wednesday, Stanton is progressing through a knee sprain, which has manifested itself in participation in drills the past two days. If the Cardinals eventually turn elsewhere at QB, Blaine Gabbert is gearing up for the start by taking most of the first-team reps. The Cardinals are expected to name Blaine Gabbert as their starting quarterback for Sunday's game against the Texans with Stanton (knee) unlikely to be available, sources have informed Mike Jurecki of Arizona Sports 98.7 FM. Stanton (knee) participated in Tuesday's session, Darren Urban of the Cardinals' official site reports. Afterward, head coach Bruce Arians said Stanton will have to prove he "can stay out of harm's way" in order to be cleared for Sunday's game against the Texans. Analysis: Stanton sprained his knee during the second quarter of Thursday's loss to the Seahawks but toughed it out, settling at 24-of-47 passing for 273 yards and one touchdown. 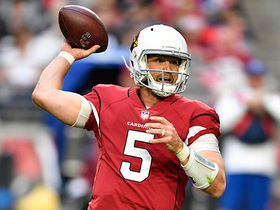 He's directing the offense with Carson Palmer (broken arm) on injured reserve, so if Stanton doesn't receive clearance this week, the Cardinals plan to turn to Blaine Gabbert, who handled some first-team reps Tuesday. Stanton suffered a sprained knee in Thursday's loss to the Seahawks, Chris Mortensen of ESPN reports. Analysis: Stanton, who completed 24 of 47 passes for 273 yards with one touchdown and no interceptions in Thursday's 22-16 loss, appears to have also come out of the contest with a knee injury. Given that it was a Thursday game. the signal-caller will have extra recovery time, but his status for Week 11 is up in the air at this moment. Blaine Gabbert would draw the start under center should Stanto ultimately be unable to go, while the team expects to bring Matt Barkley back as insurance. Stanton completed 24 of 47 passes for 273 yards with one touchdown and no interceptions in Thursday's 22-16 loss to the Seahawks. He also gained a yard on his sole rush. Stanton completed 15 of 30 passes for 201 yards with two touchdowns and one interception in Sunday's 20-10 win over the 49ers. He also rushed four times for two yards. NFL Network's Aditi Kinkhabwala gives us the latest update on the quarterback battle between Cleveland Browns quarterback Tyrod Taylor, Baker Mayfield, and Drew Stanton. 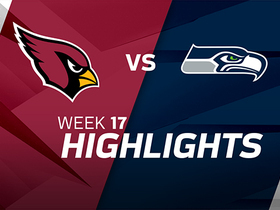 Arizona Cardinals quarterback Drew Stanton breaks free from Seattle Seahawks defenders and throws to wide receiver Jaron Brown for a 25-yard touchdown. 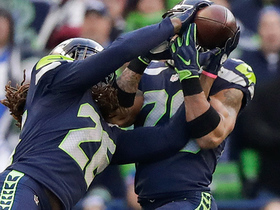 Seattle Seahawks cornerback Shaquill Griffin intercepts Arizona Cardinal quarterback Drew Stanton's pass that was over thrown. Arizona Cardinals quarterback Drew Stanton fires to wide receiver J.J. Nelson for an 18-yard gain. 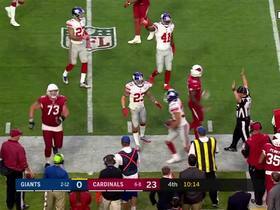 Arizona Cardinals quarterback Larry Fitzgerald throws to wide receiver Larry Fitzegerald for a 6-yard gain. Arizona Cardinals quarterback Drew Stanton fires a laser to wide receiver John Brown for a 15-yard touchdown. 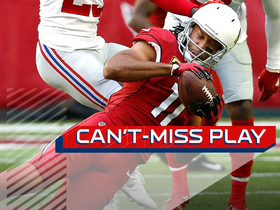 Arizona Cardinals wide receiver Larry Fitzgerald reels in this incredible catch on a flea-flicker from quarterback Drew Stanton. 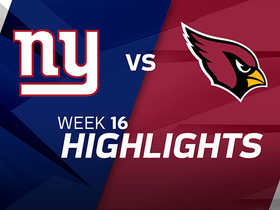 Watch the best plays from the Week 16 match up between the New York Giants and the Arizona Cardinals. New York Giants cornerback Ross Cockrell scoops up this interception off a tipped pass.